Is ME to WE a charity? 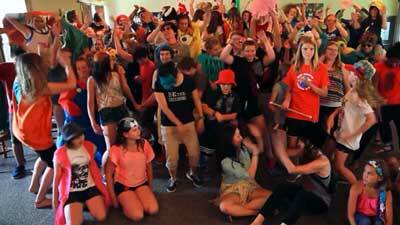 Trips: ME to WE’s world-class service trips are particularly impactful. Each life-changing experience provides young people, adults, families and corporate groups with the unique opportunity to volunteer on a WE Charity international development project. This can include assisting with local harvests, collecting water or even building a school. Retail: ME to WE retail products offer consumer choices that give back, and every product sold contributes to local programming or creates lasting change in a community overseas. To make this process even more transparent and powerful, our innovative Track Your Impact model uses an 8 digit code to show supporters exactly what charitable impact their purchase will have in support of WE charity. What makes ME to WE a true social enterprise in that its bottom line is not measured by profits, but by the people empowered and the lives transformed. Every decision begins and ends with ‘how will this make the world a better place,’ and every action brings us closer to this crucial goal and helps support the work of WE Charity. ME to WE donates half of its net profit to support WE Charity, while the other half is reinvested to grow the mission of the social enterprise. 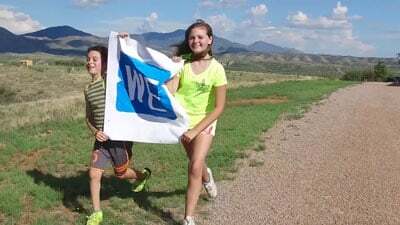 While ME to WE’s commitment is to donate a minimum 50 percent of its net profit to WE Charity, over the past 5 years ME to WE donated over 90 percent of its yearly profit to WE Charity. To date ME to WE has now donated $20 million (cash and cost off setting in-kind) to WE Charity. Using a highly effective model, ME to WE is structured to offset expenses and help provide pro bono services to WE Charity’s work, ensuring that the charity achieves a remarkable rate of financial efficiency. WE Charity on average is able to spend an average of 90 percent of its donations going directly to charitable efforts at home and abroad. ME to WE has very specific policies and legal structures to maintain its social purpose. The business does not pay dividends or provide any form of incentives to its stakeholders. It is simply designed to create social returns through the deployment of business strategies. Learn more about social enterprise. What is the relationship between ME to WE and WE Charity? WE Charity is a registered and operating charity. WE Charity’s Headquarters are located at 339 Queen St. East. ME to WE is a social enterprise. ME to WE’s Headquarters are located at 145 Berkeley St.
WE Charity has an active Board of Directors who oversee the organization and drive the strategic direction of the charity. The board provides legal, financial, and fiduciary oversight to the charity and appoints the Executive Director to oversee the day to day operations. ME to WE has an active Board of Directors who oversee the social enterprise and provide strategic guidance to the business.The Chair of WE Charity participates on the ME to WE board to ensure the social enterprise acts in the best interests of WE Charity. ME to WE and WE Charity are legally distinct entities and maintain separate financials, governance, and headquarters. However, each party shares a common mission and work towards a common goal. WE Charity and ME to WE partner together in driving the WE Movement. The relationship is defined by a legal partnership agreement which outlines the roles and responsibilities of each party and is reviewed and signed off annually by the Executive Directors and Board of Directors of both organizations. The structure of the partnership is such that ME to WE’s primary function is to support the mission of WE Charity. ME to WE designs its programs and products in such a way to support and reinforce the core activities of the charity. ME to WE provides free office space to WE Charity for some of its staff and has been doing so since its inception. Every two years, WE Charity staff and ME to WE staff have the opportunity to come together and travel to either Kenya, India, or Ecuador to see the impact of the WE Villages model in person. This provides WE Charity staff the opportunity to connect directly with the projects and people they work very hard to support and provides a deep connection to the mission and impact of their work. To honour staff, ME to WE covers associated on-the ground costs with the trip. What does ME to WE do with the revenue that is not donated to WE Charity? After donating a minimum of 50 percent of all revenues every year to WE Charity, ME to WE invests the balance to grow the social enterprise, like developing additional women’s artisanal cooperatives and destinations for our service trips. For example, ME to WE used funds to build a small beading center in Kenya. Skilled artisans are bussed there from the countryside to work on more intricate pieces, improve their skills and help increase their family income. ME to WE also invests in technology like Track Your Impact, which allows WE Charity to create an ongoing conversation platform with donors, updating them on their projects and building a database of supporters. 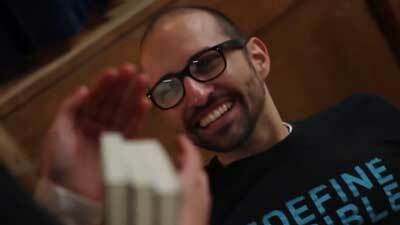 What is the role of ME to WE at WE Day? ME to WE is one of the many proud supporters of WE Day. More formally, ME to WE is a key program partner and sponsor of the event, with clearly defined roles and responsibilities, just like other leading sponsors and partners. As such, ME to WE has the opportunity to share its message of creating meaningful and lasting change at WE Day. How is ME to WE governed? The day-to-day operations of ME to WE are overseen by its CEO and Executive Director. Oversight and strategic direction are provided by our experienced Board of Directors. The Board in turn receives support and business guidance from an A-list team of advisors. Does ME to WE have a third-party certification verifying structure and governance? ME to WE is a social enterprise founded in 2008 that drives social impact through offering consumers socially conscious products and experiences to help support the charity. On December 5th, 2015, ME to WE was certified as the 150th B Corporation in Canada, meeting rigorous standards of social and environmental performance, accountability, and transparency. B Corporation certification is to business what Fair Trade is to coffee or LEED is to a building. In order to become B Corp Certified, ME to WE had to complete an extensive and highly detailed application, comprised of hundreds of questions. A range of points are awarded for each response, and the applying organization is required to provide documentation to prove all claims. In addition, certified B Corporations are legally required to consider the impact of their decisions on all of their stakeholders. B Corps make this legal change by adding an amendment to their articles of incorporation. This is considered a “fundamental change” and thus requires a “special resolution” by the shareholders. ME to WE attained a score in the top five per cent of Canadian Certified B Corporations. Their high impact policies and practices include producing financials that are verified annually by an independent source; tracking the impact of its work with small-scale suppliers, such as the women from Kenya who make handmade accessories for ME to WE Artisans; and reaching underserved and bullied youth in Canada, including those in Indigenous communities or high-risk populations through its leadership programming. As a Certified B Corp, ME to WE solidifies its commitment to using business as a force for good and paves a path for other companies to follow. What is the role of Craig and Marc Kielburger within ME to WE? 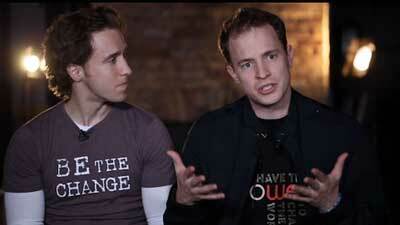 Craig Kielburger and Marc Kielburger are Co-founders of WE, which includes WE Day, ME to WE and WE Charity. Their mission is to tackle important societal issues, creating the tools and opportunities for students, families and others to be able to do good, always striving for growth and opportunities for others through the organizations they founded. WE, including WE Charity, WE Day and ME to WE, is how they achieve these goals. When they were just teenagers, launching then-Free The Children in 1995, they were trying to figure out how to change the world with the most impact and social value. The organizations they have founded are a reflection of that drive, and the causes they care about. WE Day celebrates the service and volunteer efforts of young people, and it’s what Craig and Marc wish they had when they started out. WE Charity helps people change the world, locally and globally. At home, through innovative programs like WE Schools for educators, youth and schools and WE Companies, for corporations and their employees. Internationally, through its five-pillar holistic, sustainable development model WE Villages. At ME to WE, they put their training, Marc as a lawyer and Craig with an MBA, to work to drive maximum impact through social enterprise. Since the founding of WE Charity 23 years ago, neither Marc nor Craig have every received compensation from the charity. The brothers are tireless volunteers for WE Charity, working over 300 days a year as volunteers for the charity and charity projects. From day one, the brothers decided to not take a salary from the charity. They work to reduce the administration rate, so did not want to be an added expense. Also, they wanted as much of the money raised for charitable work to go directly to WE Charity’s projects. As a result, Craig and Marc are paid by ME to WE. Within WE, Craig and Marc are seen as strong role models and leading social entrepreneurs, devoted to building an innovative and entrepreneurial organization with significant social value and maximum impact. Craig and Marc were recognized as Canada’s Most Admired CEOs for the Broader Social Sector in 2015 by Waterstone Human Capital. Why does ME to WE encourage young people, individuals and families to travel and volunteer overseas? ME to WE Trips enables thousands of young people and hundreds of corporate volunteers to go and experience WE Charity projects firsthand in the developing world. We design ME to WE Trips to connect people to community members and issues in developing communities and inspire future volunteers and donors. These are not traditional volunteer trips because we provide cultural immersion, development issues 101, leadership training and support so that travelers can create an impact upon return. How do ME to WE products educate consumers about responsible choices to create social change? ME to WE believes that we can educate young people and their families on how to make a difference with their consumer choices. Consumers effectively “vote” on social and environmental issues by the way they spend their dollars. If we show people that their purchases can be transformational, it sets up a lifetime of enlightened consumer choices. Educating them about the impact of their purchases can make young people and their families keen to buy fair trade, ask how products are made or what labor practices are followed in production. Furthermore, consumers today are increasingly disconnected from how things are produced. We lose touch with the humanity behind a transaction. On ME to WE Trips to farms in rural Kenya or plantations in Ecuador, participants meet the people behind the products they see on the shelf. Similarly, we connect consumers to the supply chain through Track Your Impact for the products that we make. If we can redirect and re-educate people about their consumer choices, this could be the greatest force for social change ever created. We believe companies will follow if consumers lead. What is Track Your Impact? ME to WE used some of its profits to invest in Track Your Impact technology that connects each purchase of a ME to WE product or ME to WE licensed product to a specific social impact. Track Your Impact attaches an online code to our products that points consumers to the region where an equivalent donation was delivered in a developing country. It’s a sort of geotag for social good; a proof of purpose. It’s an exciting innovation that transforms a simple purchase into lasting impact overseas. Each time you make a socially conscious purchase with ME to WE, you make an impact through WE Charity’s development model. How does Track Your Impact work? Track Your Impact is a mark of authenticity; a way for you to contribute to life-altering change with your everyday choices. Every Track Your Impact product has a code that lets you connect with real change in a WE Villages partner community overseas or in your own backyard. Use your code online to see what your impact is, where you made your impact and read stories that show how all these impacts are transforming lives. Track Your Impact is offered by ME to WE, part of the WE movement, that gives people tools to change the world. When you purchase a Track Your Impact product, you support WE in delivering sustainable change around the world. The impact promised on the item you purchased represents the cost of delivering that impact. Money from each Track Your Impact purchase goes toward building a sustainable WE Charity project. We don’t believe in handouts or in giving something that could be taken away. For example, for a product that promises “Water for a person for one week,” the funds from your purchase may go toward the construction of a clean-water well, which would support an entire community for many years. We say “clean water for one week” because the donation amount attached to that specific purchase represents the cost of delivering water for a week. How does ME to WE increase social impact through corporate partnerships? With Track Your Impact, ME to WE made a conscious choice to try to leverage existing retail channels to “piggyback” our message to a customer base. We are so grateful for our retail partners that carry ME to WE Artisans products, ME to WE licensed products and use our Track Your Impact platform. In the U.S., WE Charity has been able to grow rapidly due to our ME to WE retail partnerships. ME to WE’s retail partnerships provide tens of millions of in-kind support, allowing our message to reach millions of people through non-traditional avenues. For example, Nordstrom provides us with hundreds of storefronts and tens of thousands of employees across North America to showcase the development work of WE Charity. Their stores include large displays about WE Charity, and they invest to train their sales associates to speak about WE Charity. It would cost millions of dollars for WE Charity to pay for storefronts to promote WE Charity’s development work and train employees to answer questions. Each time someone buys a ME to WE socially conscious product, they learn about the work of WE Charity and are promoting a vision of a better world. You can read more about Track Your Impact here.